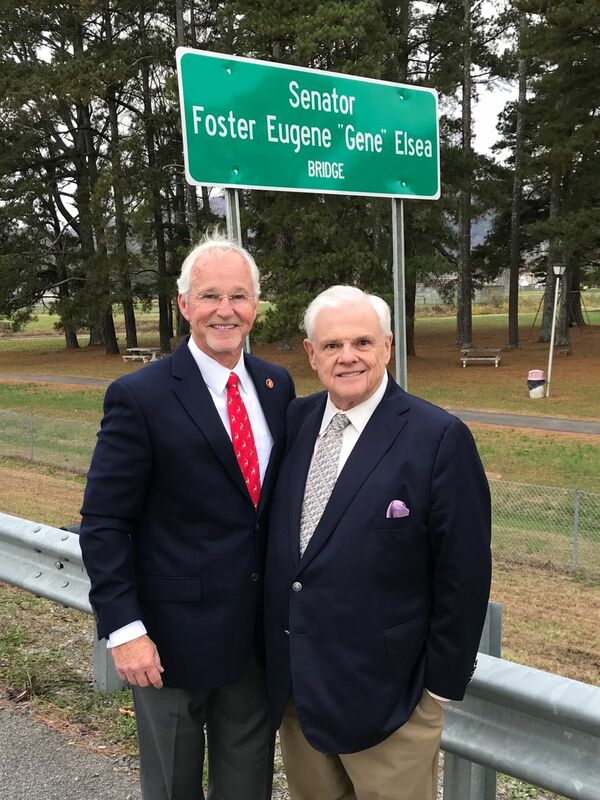 As motorist travel up and down Hwy 27 through Dayton, they will notice a new Tennessee Department of Transportation sign near the Dayton walk track. 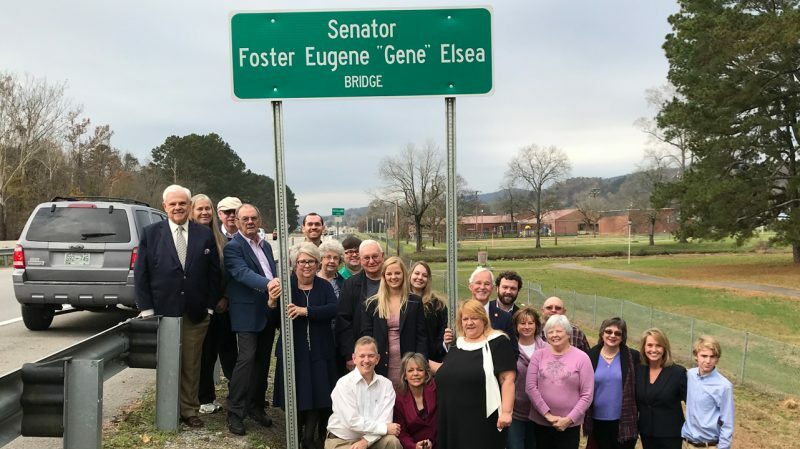 The sign marks the bridge crossing Richland Creek as the “Senator Foster Eugene “Gene” Elsea Bridge”. Saturday morning, Tennessee State Senator Ken Yager and State Representative Ron Travis surrounded by family and friends of the late Senator Gene Elsea, made the announcement that a Bill was introduced and passed both the House and Senate allowing the naming the bridge after Elsea. The dedication ceremony was followed by a reception which was held at the Screen Door Café located on Delaware Ave.
Foster Eugene “Gene” Elsea, who passed away on April 18, 2016, began his political career in 1996 when he was elected to serve in the state House of Representatives. He then spent 12 years in the state Senate, serving the 13th district, where he was one of the leading Republicans in the Senate. 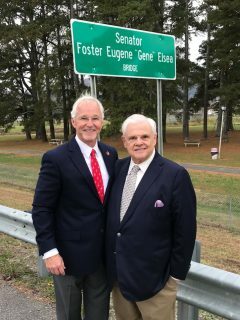 Some of Gene’s accomplishments while serving the State of Tennessee were securing funding to build two bridges across the Tennessee River and the widening of US Highway 27 between Interstate 24 in Chattanooga and Interstate 40 in Harriman. At the conclusion of the reception, those attending re-assembled at the bridge for the unveiling. Both Travis and Yager expressed their gratitude for the dedication and hard work that Gene showed during his time in office. “He was more than a public servant, he was a friend”, stated Yager.